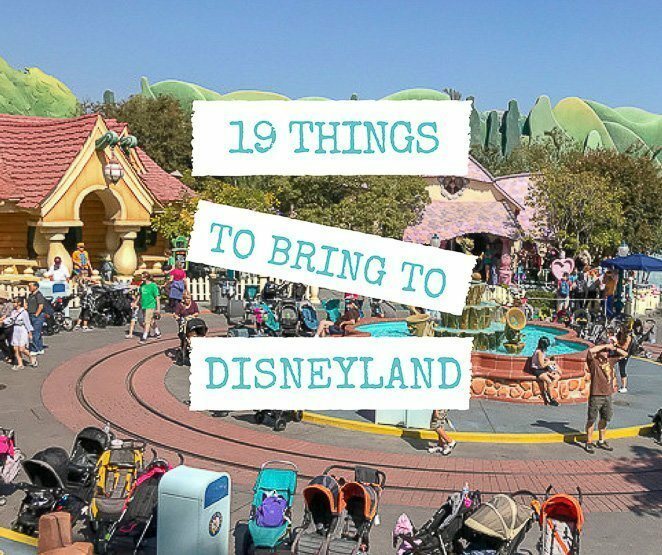 Are you making a Disney packing list and wondering what to bring to Disneyland? You might have the Disneyland outfit picked out but what else is essential to make your Disneyland vacation go smoothly? 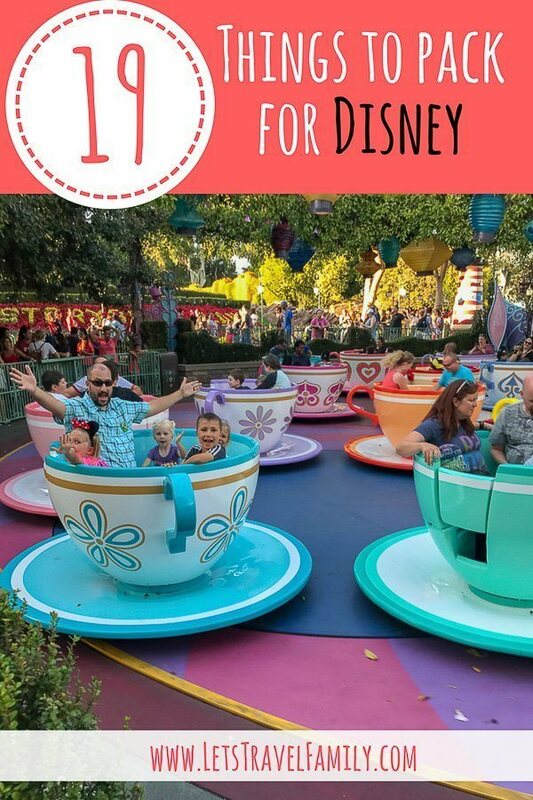 Our full time traveling family of 6 spent a fabulous day at Disneyland, and another at Disney's Magic Kingdom, and want to share with you the ultimate list of 19 things to bring to Disneyland. First things first. 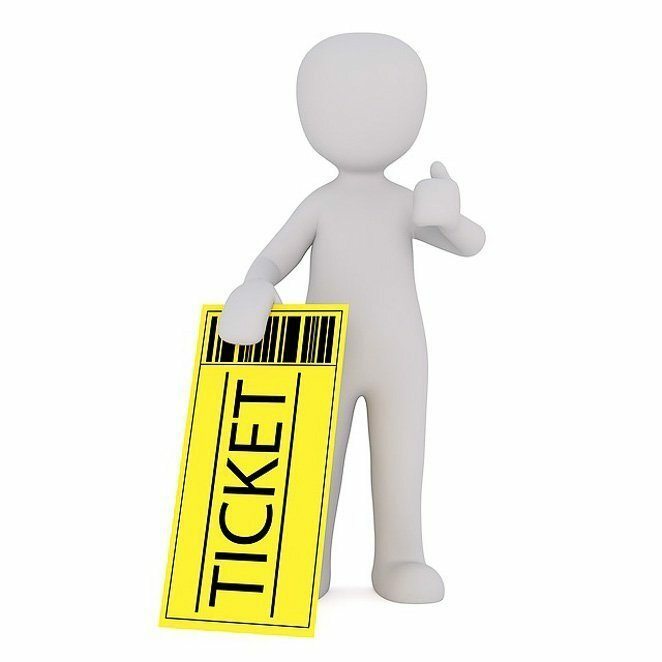 You need a ticket to enter Disneyland Park or Disney California Adventure Park. Be sure to purchase your tickets ahead of time through Disney here. Are you trying to decide what to wear to Disneyland, hoping to look the part during your Disney Vacation? Or are you hoping to surprise your kids with exciting Disneyland outfits for your trip? One of the top things to pack for Disneyland is a fun outfit for each kid. 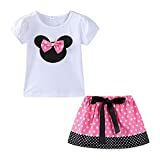 Hop online to search for some great Disney outfit ideas and choose something that you know your kiddos will wear! 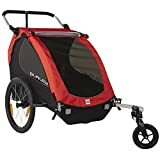 If you have a child, or children, that are 5 years old or younger then one of the things you need for Disneyland is a stroller or pushable bike trailer. We could NOT have lived without this during our visit to Disneyland with 4 kids. Click here to learn more about the Burley Design Honey Bee Bike Trailer. 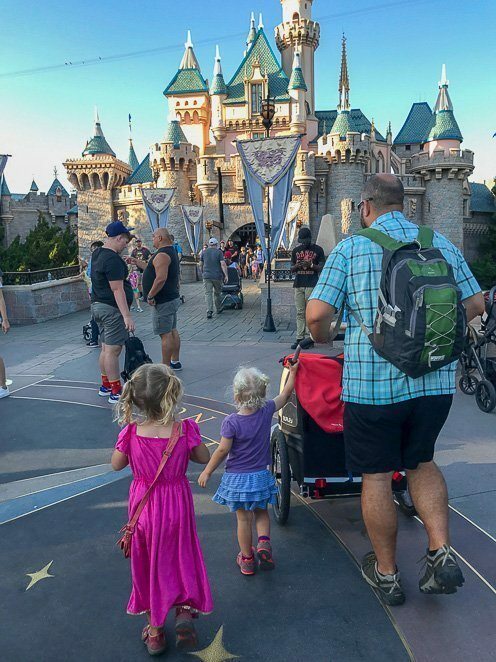 Whether you're bringing a stroller or not, you will need a backpack to carry all of your things around Disneyland. 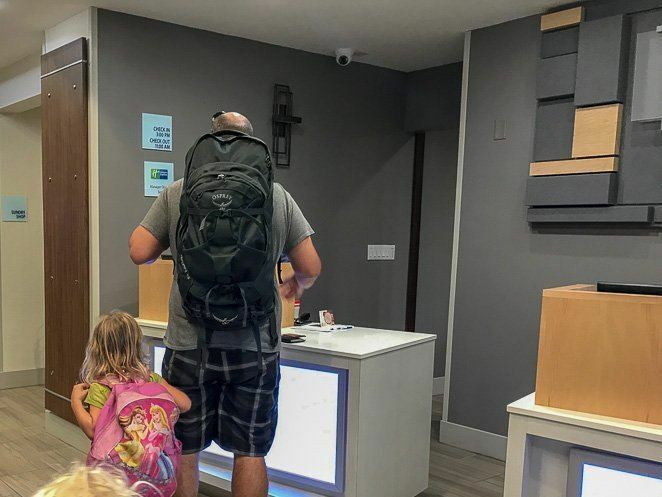 We LOVE our Ospray Farpoint 55 Travel backpack for all things travel. 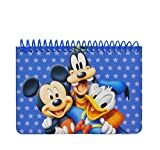 It's great to use as luggage on the plane and a way to hold all your Disneyland essentials once you arrive! We LOVE our Ospray Farpoint 55 travel backpack for short trips together. It fits clothes for our family of 6 for a 2 night stay and we can use the small pack as a day pack. I would not recommend leaving for Disney without a great camera. My iphone 7 takes fantastic pictures and I have it with me all the time. 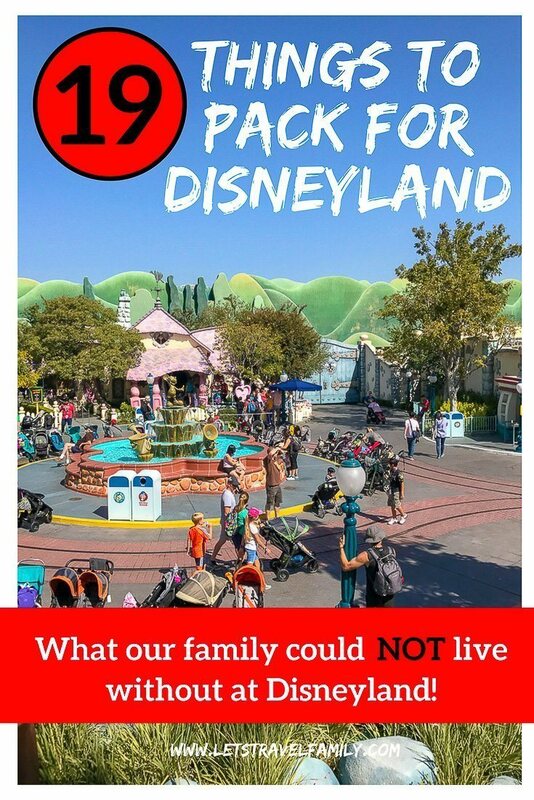 If you have another camera, don't forget to your Disneyland packing list. Click here to learn more about the Apple iPhone 7 – 32GB. 6. Battery Charging Pack - Must Have! This is one of the BEST purchases we made before we went to Disneyland. 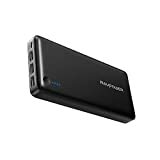 When deciding what to take to Disneyland, please add this battery charging pack near the top of your list! If you plan to spend more than just a few hours at Disneyland, then you will need a battery charging pack to recharge your cell phones as you will use your phone for the Maxpass, Disney map, taking pictures, posting fun pictures to social media from Disneyland, or just checking the time. You will need a way to recharge your cell phone! Make sure everyone in the family is wearing good walking shoes for your trip. I love my Xero Shoes Prio, as they work great for wide feet and give just enough cushion to allow me to walk more hours without sore feet. Yet, they are minimalist footwear with no arch support, which is exactly what I was looking for. 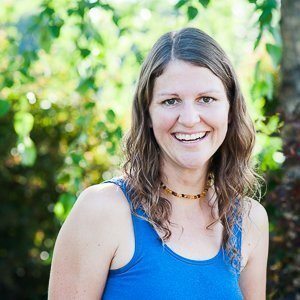 Keens would be another great option for you or the kids. It's always a fun experience for the kiddos to get autographs from their favorite Disney characters! One of those Disneyland must haves is a an autograph book and pen! when you are making a list of things to take to Disneyland. Click here to learn more about the Disney Official Autograph Book. I WISH we would have brought sunglasses for the kids on our Disneyland trip. However, my husband and I could not have made it without our own. These polarized sunglasses for kids sound perfect for the kiddos! Click here to learn more about the VATTER TR90 Unbreakable Polarized Sport Sunglasses For Kids. 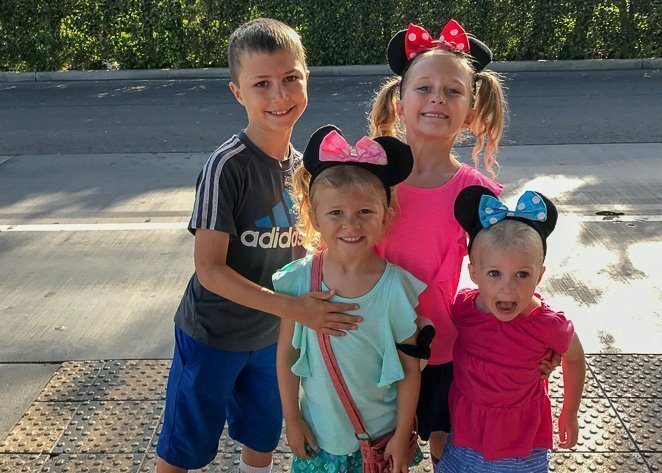 A trip to Disneyland would not be the same without having a set of Minni or Mickey Mouse ears for the kids! I HAD to have a cute picture of the kids in their ears. Click here to learn more about the Disney Minnie Mouse Ears and Headband. I LOVED having our Disney Mini Mouse Ears for the first picture of the morning! If you do not think that your kids will wear their cute Micky and Mini Ears after you take the 'must-take photo' the morning you leave for Disneyland, then be sure to pack hats. Or better yet, buy YOURSELf a great Mom or Dad Disney hat! I wish we had these for our trip to Disneyland California! Click here to learn more about these great Disney Dad Mickey & Mom Minnie Hats! Can you take food into Disneyland? YES! Can you bring water into Disneyland? YES! We brought in an entire case of water in our cooler and were so thankful that we did. 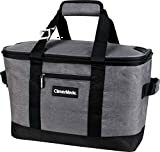 Having our soft-sided cooler allowed us to carry our water and food all around to help keep the kiddos hydrated and fed. Just remember, you cannot bring any glass into Disneyland. Click here to learn more about the CleverMade SnapBasket 50 Can, Soft-Sided Collapsible Cooler. Bringing snacks and water into Disneyland was a great way to save a little extra money. No worries, we still recommend indulging in fun snacks throughout the day that Disney has to offer you. Sunshine on the face, screaming on roller coasters, eating new and fun foods....it all makes for a great reason to grab some lip balm to pack in your backpack. 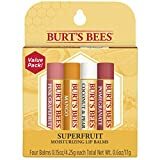 Burts Bees is our family's go-to lip balm. Click here to learn more about Burt’s Bees 100% Natural Moisturizing Lip Balm. The California sun can be brutal to your family's skin if you are not used to it. Do not leave for Disneyland with toddlers or fair skinned kiddos without grabbing sunscreen. We especially like Babyganics as it's a trusted brand and is mineral-based. 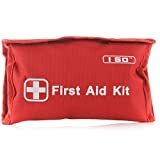 I love that this I GO first aid kit is soft sided so it packs well and it comes with an Ice Pack! Not many first aid kits have ice packs in addition to the bandages and gloves. We always have a first aid kit with us during family travel. Click here to learn more about the I Go 89-Piece First Aid Kit. If you have any young kiddos that have a tendency to spill on their clothes, or may still be in the potty training stage, then be sure to grab an extra change of clothes to bring along. Just because the sun sets does not mean your Disneyland fun is over! Stay for the fireworks and bring some glow sticks to surprise the kids! You will get extra special mom and dad points for this one. 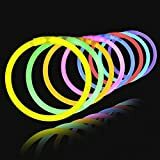 Click here to learn more about the Glow Sticks 100 8″ Light-up Glowstick Bracelets. Disneyland in the evening is beautiful. Bring a light sweater or better yet, a fun Disney sweatshirt to keep warm in the evening. Once that sun goes down, you will be glad you have something to put on. Click here to learn more about the Disney Minnie Mouse Silent Hoodie Fleece Pullover. It's always a great idea to bring some extra cash along for quick purchases throughout the day at Disneyland. From lollipops to stuffed animals, you can buy all sorts of things from the kiosks and venders throughout Disneyland. Yet taking out a credit card each time can be a bit of a hassle. In addition, the kids enjoy being able to take the cash up to the cashier to buy their OWN treat or souvenir. Be ready for a long fun-filled day together at Disneyland. Plan to arrive early and stay late. Our family arrived 15 minutes before Disneyland California opened and stayed well past dark. We honestly had the time of our lives! I feel that a big part of making our day so magical was being well prepared. Packing things we would need, and other things we would want, made our day go so smoothly. 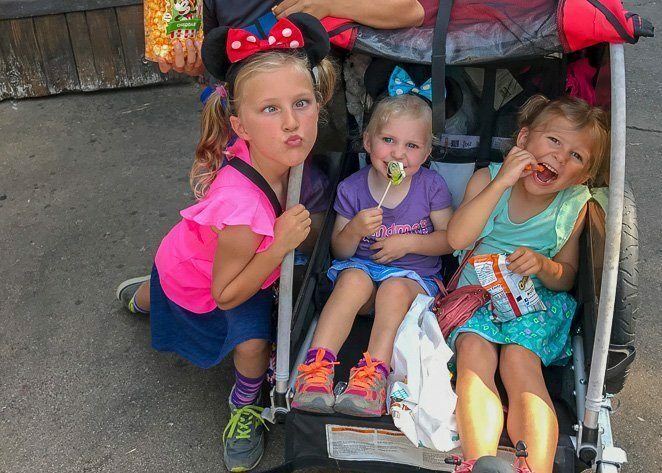 We travel full-time with our kids to build lasting memories together, and Disneyland did not disappoint! 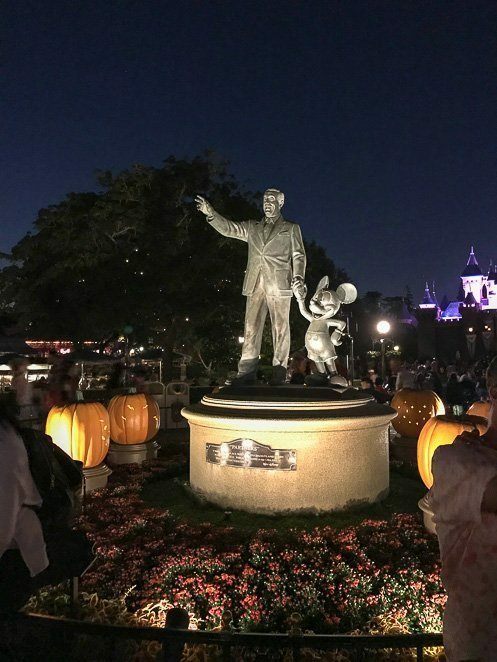 If you'd like to make your Disney trip a surprise, check out our tips for making a Disney Scavenger Hunt. Are we missing something on our list? Let us know in the comments what other things families should add to their lists of things to bring to Disneyland!